Devices with microelectromechanical Systems or MEMS typically combine electronic circuitry with mechanical structures to produce different outcomes. 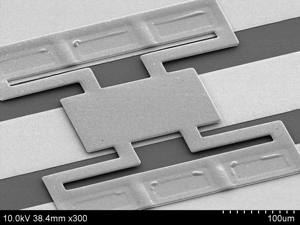 With optical switches, the key mechanical components are MEMS-based micro-machined mirrors. These are created with silicon chips using well-established, very-large-scale integration and complementary metal-oxide semiconductor (CMOS) foundry processes. Optoelectronic packages in the active optical cable market are often composed of very small lens that can be used to reflect, filter, or focus light. 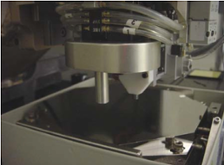 Precise placement of these lens relies on P-side down laser attachment using gold-tin eutectic solder, which optimizes placement accuracy and attachment quality. Disk drive assemblies are becoming more complex as the demand for greater memory, efficiency, and an increasingly smaller package grows. 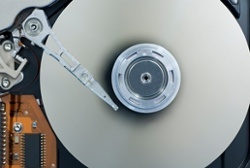 Many of the hard drive household names are coming up with novel ways to fit greater memory and power in smaller spaces with technologies like VCSELS and lasers. Laser diode packaging can be a unique challenge for a company. For an optimal packaging process, a flexible system that can handle a high range of product mix with high accuracy (+/- 2 mil), precision (less than 5 microns, 3-sigma) and a high thermal transfer process is needed. Palomar Technologies provides high-yield volume laser diode assembly accomplished through a pulse heat or eutectic process. MOEMS is a highly complex, photonic MEMS application. It’s found in a broad range of devices, such as optical switches, optical cross-connect, tunable VCSELS, and microbolometers. MOEMS works on a very small scale and involves incorporating and even changing or controlling optical signals with integrated mechanical and electrical systems. 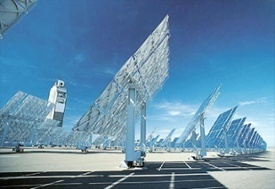 Solar concentrator assembly is a high-efficiency technology using lenses that take in sunlight and direct it towards a specific spot by manipulating the rays of light and focusing them on the desired area. The lens on top of every solar concentrator enables more focused light to enter each solar cell, making it more efficient. Gated light arrays fuse together multiple emitters and receivers into one housing to make a sensing field. Laser pump diodes are solid-state lasers made by pumping a solid gain medium. Palomar Technologies’ product applications include high-speed fiber optic data switches and devices that are critical in the development of telecommunication technologies. There has been a recent upsurge in photonic packages used for fiber-optic communication. Most of these packages consist of photodiodes (PD) and Vertical Cavity Surface Emitting Laser (VCSELs) connected by lenses to the fiber on one side and an ASIC device on the other. There are generally two or four pairs of PDs and VCSELs per package. Learn more.